I so wanted to like this meal, I mean who doesn’t like Spaghetti Bolognaise? And for me that’s the problem as I make a pretty good Spaghetti Bolognaise from scratch at home and is the comparison point for this meal! I found the spiciness was a bit bland for my taste and the texture was a bit odd (again I’m comparing this to home cooked pasta). While I realise this is a freeze dried meal, this offering fell short of my expectations. This is also one of the few meals where you definitely need a spork or a fork to eat, the spoon just doesn’t cut it with long noodles. While I will prepare some meal options myself and dehydrate, I tend not to worry about making complex meals but rather devote my time to other activities such as hiking. These meals are very convenient. 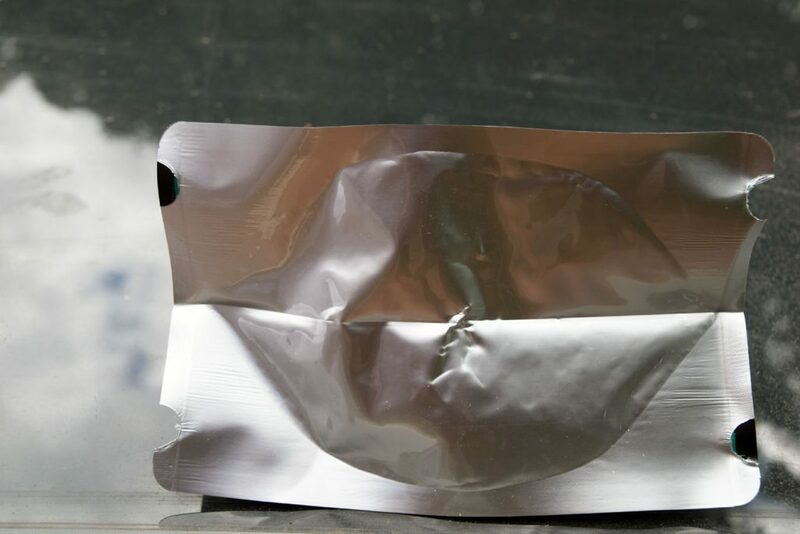 These meals are very easy to prepare requiring the addition of 500 ml of boiling water and a recommended ten minutes to rehydrate. I have found leaving the meals for about 11-12 minutes tends to get a better result and I would suggest cutting the water back by about 25 mls as well; see what you think on this one. 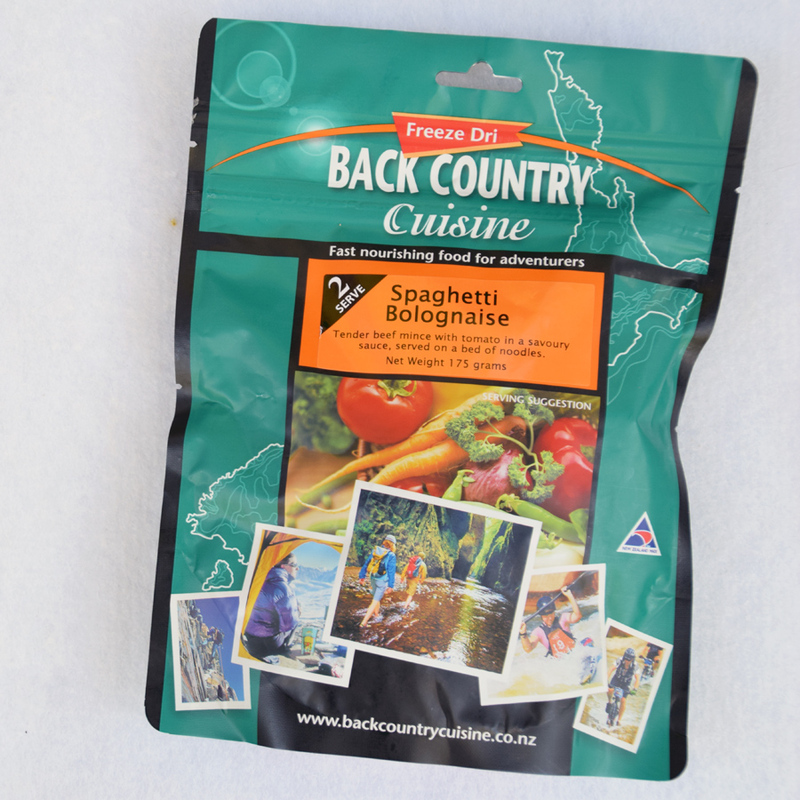 I find the Backcountry Cuisine meals a bit hit and miss, and I will usually love them or hate them depending on my own personal tastes. 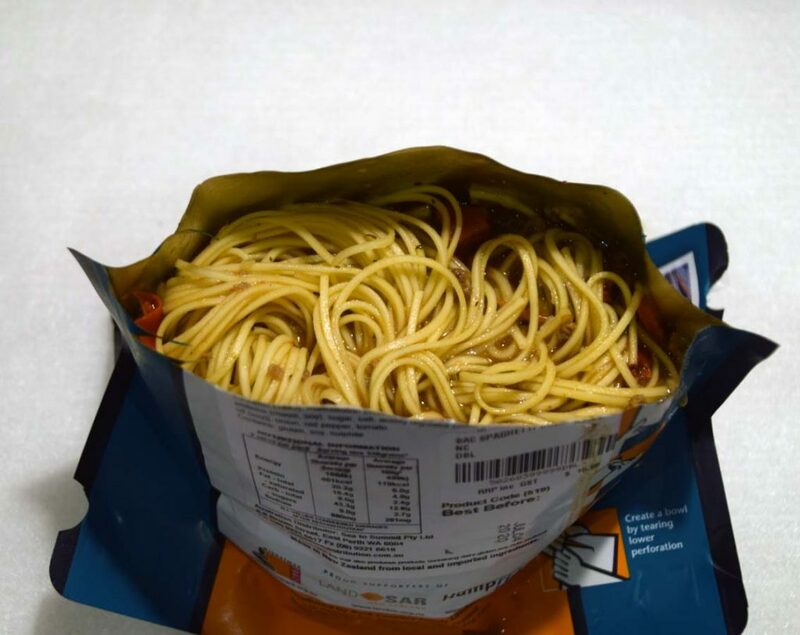 I’m not a fan of the Spaghetti Bologniase. 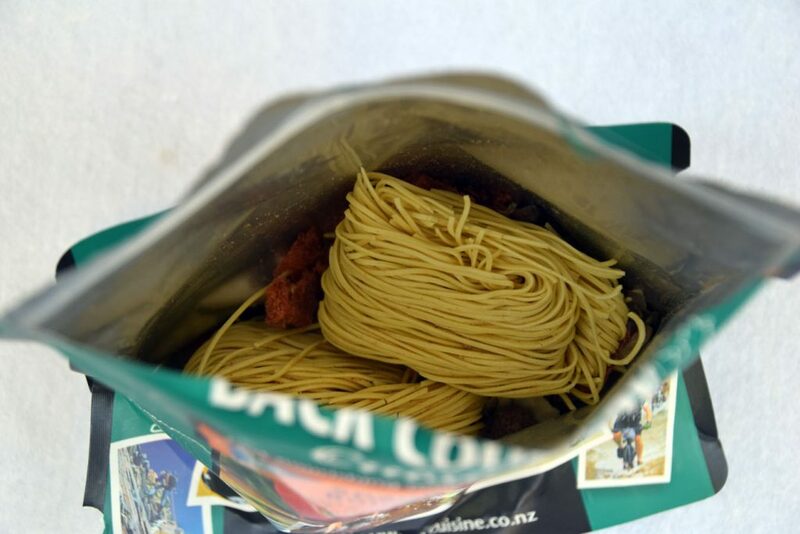 Its not that it’s bad, it’s just that its not great and there are so many other choices from both Back Country and Outdoor Gourmet (both produced by the same manufacturer) I would prefer to eat. I will say many other hikers I know love this meal so its worth while adding to the mix at least once and who knows it may be to your tastes.